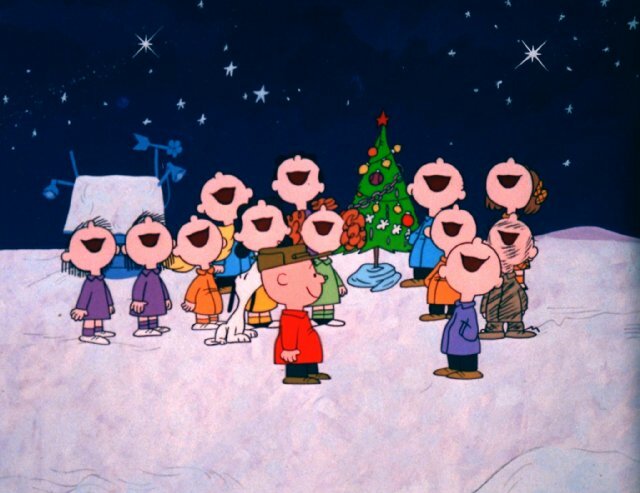 A few nights ago, my husband and I sat down with our sons to revisit a long-standing tradition from “back in the day”….that of watching the 1965 classic Charlie Brown’s Christmas. You see in our generation growing up, it wasn’t really the Christmas season UNTIL you got to watch this on the TV. My husband’s upbringing was the same. All family schedules would cease so we could get together and watch it. It went something like this – Dinner was early that night as we three siblings would all rush to have homework done, jammies on, all ready for bed. There would invariably be some jostling for the best seat in the TV room, all “calling” a chair to perch in (some were more comfy than others in our household). The program would start at 7:00 pm sharp and we would be there, excited and ready to see Snoopy and Friends. The opening song, the meandering, jazzy sweet tones reminding one of lazy circles skated on a winter pond and twirling snow flakes tumbling down to earth, sets the mood perfectly. As we first meet Charlie Brown we immediately empathize with him, as he is the “unpopular kid” who doesn’t get a Christmas card in the mail. (Haven’t we all been the odd man out at times)? So Charlie laments that he can’t “find” the Christmas spirit or the true meaning of Christmas. The viewer watches as he explores options in going to a psychiatrist (Lucy), overseeing a commercialized Christmas play and buying an aluminum Christmas tree. Even his baby sister, Sally is caught up in the frenzy of “wants” with her letter to Santa asking for “her fair share.” Isn’t it interesting that this cartoon is celebrating its 45th Anniversary this year and truly, it seems that the story-line is reflective of today’s life and times as well. 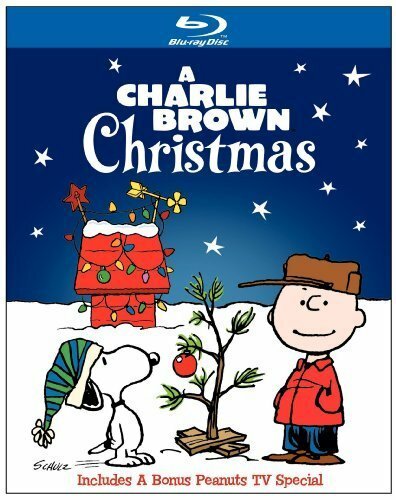 The Charlie Brown Christmas Special is not found easily on the standard TV stations now though; “Christmas” specials one can find in the public TV forum are mostly secular, feel-good vignettes or kiddie stories that include Santa Claus, Rudolph the Red-Nosed Reindeer and Frostie the Snowman. 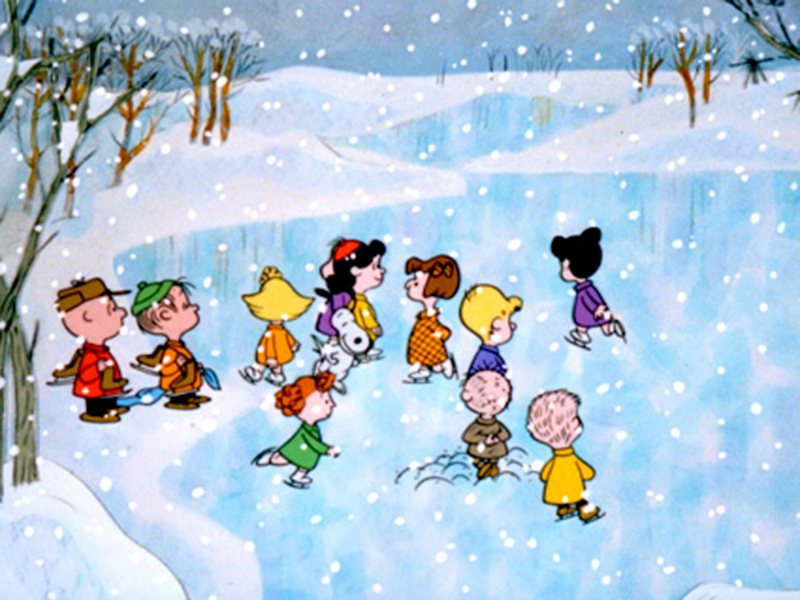 Anyway, enough postulating – As we watched the story unfold, I returned to my pre-teen self, holding on to every word and song, reveling in the snowy scenes, the skating pond and of course, the “Snoopy dancing” theme written by Vince Guaraldi. Watching my favourite friends from old, I was so happy to “feel” Christmas seeping into my heart. It was a stopped moment in time as once again – like the many years before, Charlie Brown asks the Peanuts Gang rather desperately, “Can anyone really tell me what Christmas is all about?” I confess, my eyes got a little shiny with tears as I breathlessly waited for the answer I knew was coming. “Sure Charlie Brown, I can tell you what Christmas is all about,”offers Linus. This was a gift to me, and my family. With all the forward pushing to embrace the 21st century and its mad mad world of all things technical, I was glad to return to my “back in the day” Christmas and I will do it again and again. 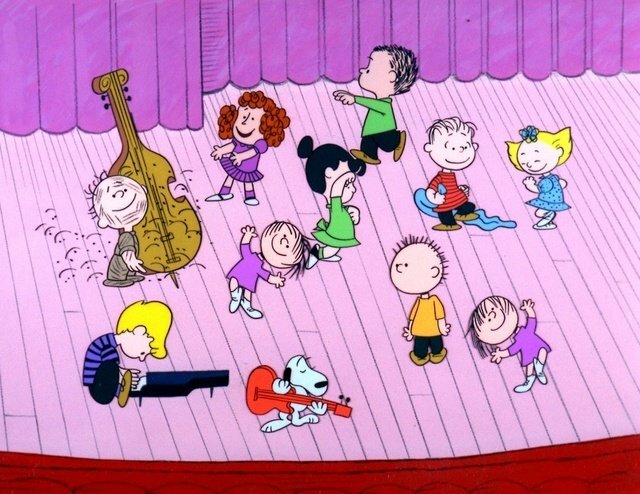 Enjoy and Merry Christmas Charlie Brown!